Enterprise Leaders: Who is Good At What? Back in the early 1990’s, I used MacDraw on a Macintosh to prepare the presentation on leadership for an academic audience. The following slide summarizes its primary point: leadership enterprise effectiveness is a matter of fit between a leader’s personal competencies and the enterprise’s business context. (See “Effective Leadership Performance: A Question of Ability or A Question of Fit” for the full presentation.) My fascination with what makes a person an effective leader in the workplace has continued since then. Since making this presentation, my experiences as a leader and as a follower in all four enterprise contexts – production, innovative, creative, and turn-around – has not changed my basic belief that leadership effectiveness is first and foremost a question of fit. This is especially important to remember as our economy is undergoing fundamental change. We need to deal with the harsh realities which lead to the current recession. We will need innovative, creative and turnaround leaders rather than production leaders. I do not think that we will really see an end to the current recession under many of the people who led us into it, have changed. They are leaders whose competency profile is closer to the production profile above, in my view. Much of the economic activity in the last twenty five years has been in production organizations, both commercial, not-for-profit and political. Movement out of this recession will be led by the leaders of creative, innovative and turnaround organizations, as it has in the recessions of the past. Recessions are a time in which many organizations which eventually become established as household names first start up. Many of our existing human resource and executive search professionals do not think about leadership in these terms. By and large, their experience is with production enterprises in times of economic stability. As a result, they do not think critically about the crucial differences in this chart. Sometimes they talk them, but that is different from behaving them. Their business experience, and the intuitions they have built on it, is largely with production enterprises in a time of economic stability or growth. They use these intuitions in their subjective “chemistry and fit” judgment of leadership candidates. As a result, they are not really the best predictors of who will be tomorrow’s outstanding enterprise leaders. 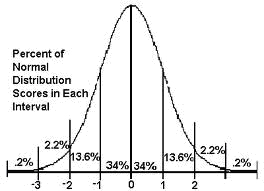 I believe that the recent down turn in the executive recruiting industry is partially the result of this “future discounting” of this dynamic. These thoughts started when I participated in a recent Linked In group exchange on the competencies required for Break Out and Turn Around executives in the Green Tech Economy. I went back to the chart above to clarify my ideas on this. I found that it applied partially. I needed to combine it with the schematics which follow a little later in this blog to really get clear on these issues. Break Out and Turn Around are very different enterprise situations. Unlike business as usual, organic growth, or growth through acquisition in production enterprises, they place very specific demands upon an enterprise leader. Turn Arounds involve cleaning up messes. (See a white paper on these dynamics). They involve doing more with less. The dollars needed to fund turn around activities have to be found somewhere. Tough people and business decisions need to be made about what to stop doing, as well as what to continue doing in different ways. The prime competencies required by Turn Around Leaders are analytical conceptual and unifying / integrating people skills. Turn Around enterprise leaders need to be destroyers as well at change agents. They must replace what they destroy with ways of doing the remaining things in an enterprise in that inspire people to contribute. They must inspire confidence when times are bleak. They must achieve constant visible progress towards goals that both insiders and outsiders value. Turn Around Leaders must have an ability to disrupt the status quo, but do so in a way that people believe will work. This mean applying already proven ways of doings things to existing enterprise processes and work flows. Break Outs involve getting an enterprise beyond a current plateau. Many small startup enterprises with exceptional products and services languish at a level far below their market potential. They become “life style” organizations, generating a decent living for their owners and employees. But they never get beyond this. (Source for this figure – and the one following below – The Clean Technology Report – see http://cleantechnologyreport.ca/.) Product development has a life cycle. The first three phases are ones that require deep personal belief and product development vision on the part of the enterprise leader. The best leaders for these stages are often individuals who believe so deeply in the potential of their ideas that they ignore negative feedback from the outside. They push ahead based on their inner beliefs. The strength and conviction of those beliefs inspires both investors and early stage employee. Technical and cognitive skills predominate in such leaders’ competency profiles. 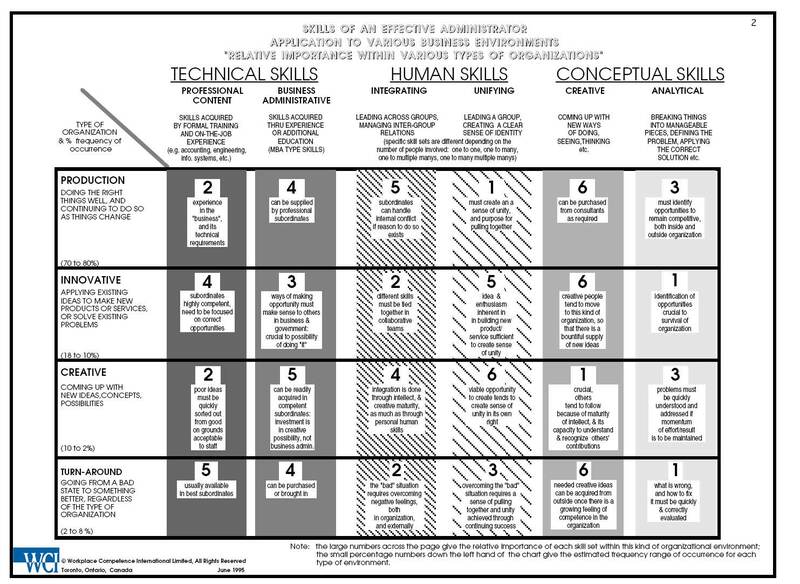 People skills are extremely important in the latter stages – product commercialization. Generating and paying attention to feedback is a key component of success in these stages. Effective enterprise learning requires structuring early, tentative operational and marketing initiatives so that they create actionable production and market feedback. Learning how to do new things in “big” ways successfully is the core skill demonstrated by enterprises that commercialize new products and services. It’s all a question of effectively managing different kinds of risk at different points in the technology and product development life style. The strong personal inner beliefs of early stage enterprise leaders are precisely what are required to overcome the technology risk that predominates in the fundamental research, applied research and technology development stages. 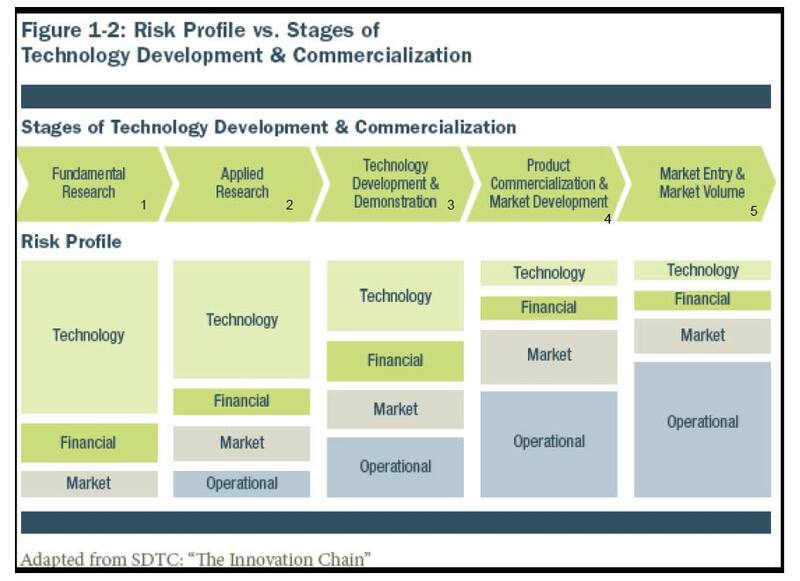 During the last two stages – product development /commercialization and market entry / market volume- the risk profile changes. The financial stakes increase as well. The investment required in the first three stages is relatively smaller than that needed for the last two. (If I were doing the schematic above, financial risk would be proportionately larger, probably somewhere between market and operational risk.) Consequently, the required leadership competencies are very different. The ability to innovate is still key, but a different kind of innovation is now required. It’s no longer about developing a product or service. Instead, it’s about bringing a product to market. It’s about developing, servicing and holding customers. This is especially important in the face of success. Success means rapid operational expansion, done in financially prudent ways. Such success breeds imitation. Imitators have one major advantage. They are imitators rather than developers and innovators. They can compete without having had to make the financial investment in first three stages. Consequently, they are able to compete on price. Financial prudence is essential to being able to meet such early competition. In the first three stages, the driving product developer is the single most important human resource in the enterprise. In the last two stages, the enterprise leader is still important. But this individual is no longer the only really important human resource. Enterprise leaders need to do “through others”. There is two much going on, and the kinds of expertise / experience needed are to broad to allow micro-management to succeed. The unifying and integrating people skills are now essential. These skills are needed to inspire and to motivate, so that the leader can delegate to others in a time of constant growth pressure and of extremely limited resources. The enterprise leader must integrate the activity of these others in a way that ensures that they continually generate and respond to the feedback needed to adapt the new operational and marketing approaches. 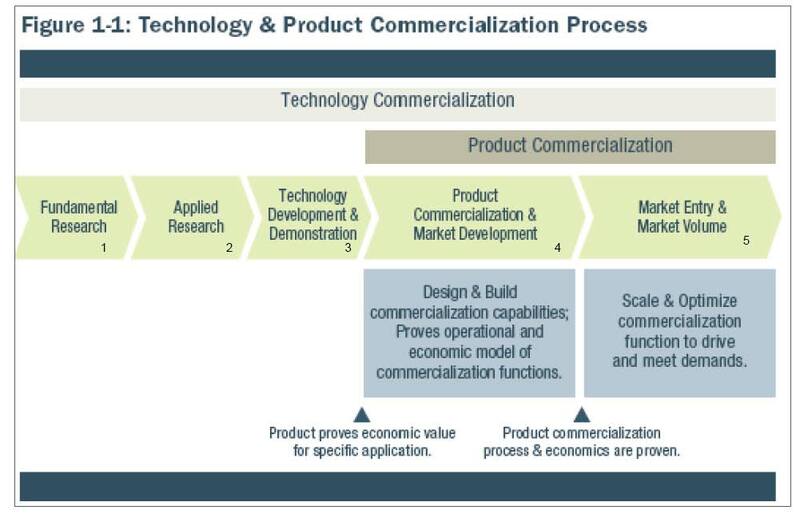 Many innovative firms successfully start up, make it to the end of the technology development and demonstration stage, and languish. They become life style enterprises, generating a reasonable living for their owners and employees. A group of initial customers stays loyal to them, based on the business value they are receiving, and the emotional investment they have made in being early adopters of the technology. The underlying reason for this has to do with this change in required competency profiles on the part of the enterprise leaders. The startup leaders are smart people. They have an intuitive sense that the skills which successfully brought them through the first three stages are not the ones needed in the future. They know, in a pre-rational, pre-conscious way, that they do not have the ability to manage successful commercialization. They accept, without ever articulating it, that they will ignore market and operational feedback in favor of their own opinions and beliefs. They rationalize away the fact that they do not have the people skills to do through others by pointing to themselves as being more creative and more determined than average. They sense that the immediate micro-managing form of control that has been key to their past success will not work in future. Besides, they liked things the way they were in the first three stages. There was a great “fit” between their competency profiles and enterprise success. Most of them will not give over “their baby, their creation” to another leader. If they do, they will only do so to a “hand picked” person whom they sense they can still control. As long as the enterprise generates enough money to afford the “life style” of key players, things stay stable until market pressures undermine revenue, or outside investors force the issue. Investors however have a different set of requirements. They want the financial success which comes with market entry and market volume. However, they often prefer to avoid the turbulence and the difficulties required to work through a successful change of enterprise leadership. As a result, many formulate “exit” strategies that are focused on “acquisition” by a larger, already existing company. This creates an environment in which these leadership transition issues are handled as a result of the acquisition, rather than in pre-thought and planned way. Leadership change, especially startup enterprise leader change, involves much emotional energy. Not all investors have the desire or the perseverance to work through it. The down size of course is that the acquirer gets most of the financial benefit of the eventual break out. A better understanding of these dynamics, by startup entrepreneurs and investors, could help foster transitions to Break Out Leaders who can more effectively lead enterprises during the last two stages of commercialization. The financial benefits of Break Out can then accrue to the startup leaders, the investors and the employees of the enterprise. The commentary below hit my inbox today. There have been almost two weeks of constant media coverage over the supposed scandal at the Ontario Government’s E-Health agency. All of the media coverage, and this commentary, miss the point in my opinion. It does so badly. First, let me say that I do not know Sarah Kramer or Alan Hudson. I also don’t know David Caplan. As always, in my view, the focus on the media is in personalities, instead of the underlying root causes for affairs like this. As a species, we just love the allure of gossip and speculation. My own view of why Kramer and Hudson failed has little to do with the things that have received so much time in the media. I believe that they were simply not qualified to this job. I also believe that the people who put them in these positions did not really understand what competencies are required in the successful leaders for e-health implementation. Lots and lots of money has been spent on information technology in health in Ontario over the past ten years. International collaboration over many years has lead to architectures such as Health Level 7 (http://www.hl-7.org/). It is not a question of inventing new IT architectures. Technical innovation is necessary. But it is no longer the key. The implementation of a strategy is not the same thing as the formulation of it. Implementing technically based change strategies is especially difficult. The implementers must accept and recognize that they are changing a culture , not just implementing technology. Success at cultural change requires many things, including an ability to understand the secondary benefits of that the current culture has for people. Without a willingness to go beyond the surface level, and deal with this aspect of cultural change, failure is inevitable. Kramer’s and Hudson’s tale is about the failure to recognize that E-health is a deep cultural change. On the surface, they came across to me as individuals who are technical specialists, insensitive to cultural nuances. Their attitude to the governmental culture in which they were working is my best evidence for this. In fact, in listening to Kramer on TV and radio, I often got the sense that she was somewhat contemptuous of it. This struck me as a bad sign about someone who was going to lead a major cultural change. As I listened to the media coverage of this affair over the weeks, I became more and more sad. We need successful e-health badly. It has great promise for reducing the unit costs of health care delivery, as well as improving the lot of individual patients. But it is not going to succeed if we keep pretending that e-health is a MEDICAL TECHNOLOGY and INFORMATION TECHNOLOGY issue. These aspects of the problem are secondary to the cultural change issues involved. The currently ongoing belief on the part of our senior politicians that e-health can only achieved by leaders who have medically related information technology expertise is not helping the situation. Successful implementation of e-health means convincing doctors to change a fair number of their personal practices. Even more importantly, it means getting their office assistants to change theirs. They do a fair deal of the record keeping and administrative work in doctor’s offices and in hospitals. That will not be easy. Lots of information technology implementations have failed over the years, in many industries. People need to change the way they do things to successfully use new information technology. Achieving this is not easy in the “command and control” culture that characterizes financial services and manufacturing. Medicine has far less of “command and culture” in its culture. Effective collaboration between relatively independent professionals who use a common infrastructure is a far better description of its culture. Cultural change is this environment is more difficult than culture change in “command and control” that characterizes many of commercial organizations in our society. The successful implementation of e-health is first and foremost a cultural change issue. It needs short term tactics such as the one spelled out in the E-Health strategy document. But it also needs a much broader social vision in its leaders. It needs leaders who can work with existing colleges and universities to change the medical education curriculum so that we start producing doctors, nurses, medical technicians and administrators who look forward to using e-health approaches. It needs leaders who will collaborate with medical professional bodies to incorporate e-health exposure into on-going professional education programs. It needs leaders who are respectful of the huge contribution to medical record keeping that is made by office assistants and hospital administrators. It needs leaders who recognize that the first step in changing a culture is respect for it, and the people who live it. What it does not need is leaders who so convinced of their own superiority that they feel justified in ignoring the simple and straight forward rules of procedure that have served government agencies well for years. Kramer and Hudson failed in their leadership. The people who put them in their positions failed to appreciate that e-health is not about techniques first, and people second. E-health is about the convincing independently minded professionals to undergo the personal change needed to use new e-health technologies. When the leaders of Ontario’s E-Health Agency demonstrate that they understand how to undertake such cross institutional cultural change, we may begin to benefit from the technology underlying e-health. When the politicians who have the ultimate responsibility for the delivery of health care in our society recognize that implementing e-health needs cultural wisdom more than its needs technical prowess, we may begin to succeed. Maybe we will get lucky and such leaders will emerge without deeper insightful on the part of politicians and media commentators. But I doubt it. I suspect that I will have more reason to be sad in future. Selecting Senior Leaders: Is “Good Enough” good enough? Anyone who has been listening to the news in North America is likely to share this feeling. This is especially true as the month ends off with the consistent news attention to the H1N1 (or swine flu) virus. However, that is not what is discouraging me. During the month, I read two excellent reports published in Ontario. The first was the “Ontario Clean Technology Report”. I had a chance to listen to John Mertl, one of the co-authors of the report, speak at Guelph Partnership for Innovation monthly breakfast (Ontario, Canada), and then meet with John. It’s an impressive piece of work. All of this first class thinking should be inspiring. It is. But I was discouraged by it. Both reports commented on the lack of needed top management talent, and the risks that it created for Ontario’s future economic prosperity. While I have been doing this reading, I have attending a lot of executive networking sessions. I have been visiting a number of the local college campuses. I have been learning more about Health Care Informatics, a topic that I have long been interested in. (See the COACH web site for some insight what’s happening there.) Talent, creativity and the willingness to learn at all ages were ever present in the time I spent in these activities. What I am left with an impression that we as a society do not really know how to operationally step up to the challenges which face us. We do not know how to get the right people in the right top management spots to allow us to innovate in a risk managed way. As a result, we end up moving from economic crisis to societal crisis. Some part of this cycle is fueled by an inability of our top managers to see further than next quarter’s P & L or next year’s operating budget. We are bound by the tribal nature of our social psychology. Our approach to leadership and top management is deeply conditioned by the genetics underlying our brain’s functioning. We depend more on implicit, emotional processes in these activities, than on rationally chosen ones. The dialog at the executive networking sessions consistently comments on the fact that the executive search industry almost never present candidates who are not “true to type”. Executive recruiters who attend these sessions comment that their clients insist on “exact fit”, especially in these times, when there are so many candidates on the job market. The people who sponsor the networking sessions point out time and time again that the majority of executive jobs are filled through through networking, not the executive search industry or media advertising. All of this sounds and feels like “a lot more of the same”, at the exact time when we need “different results and visions”. As an individual who has benefited from leading truly innovative, high performing management teams, and coaching superb individual managers, I find this discouraging. Maybe it just the fact that it is a late spring. Maybe it is the fact that the world remains a very competitive and unpredictable place. Maybe it is the fact that we seem better at “commenting on” our social situation than at doing things which produce lasting and effective change. But all and all, April has been a month which has left me wondering if we are really ready as a society to tackle the massive amount of day to day concrete change that we must undertake to leave the world a better place for future generations. It has to start with doing a better job of aligning innovative proven performers with the change work that needs to be done in our institutions and enterprises. We will not face our challenges with “more of the same”. Decades of leadership research, emotional intelligence work, competency modeling and employment interviewing research do not seem to have altered our fundamental commitment as a species to informal social processes for placing individuals into the majority of the leadership jobs in our society. We continue to do so even while we talk about more effective hiring processes. Something deep in our tribally based social psychology seems to lie behind these facts. Our rational fore minds cannot seem to get beyond the guidance of the more emotional parts of our brains. 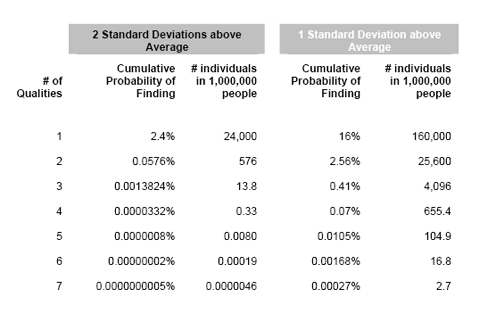 We know that interview results are not an effective predictor of on-the-job performance. We know that hiring mistakes are costly in both real dollar and lost opportunity terms. We know that the “the tough interview questions” and the ways of preparing for them, have not changed in decades (see this link from January 1983). We know that on-the-job performance and peer ratings of past on-the-job performance are among the best, most consistent indicators of future on-the-job performance. (Ever since the OSS – Office of Strategic Services – conducted research on this during the Second World war). Yet we continue to use social networking and face-to-face conversations for selecting and placing people into most leadership jobs. Are better ways? Yes. I attend networking sessions to watch people interact with other people, not to experience them interacting with me. The people with the capacity to listen accurately and to integrate what they hear into their interaction with others stand out. The ones who can present ideas clearly and persuasively stand out. The ones who can truly facilitate the interaction of the others there stand out. Observation turns out to be a better tool than interviewing for me. It was in my own past recruitment practice as an executive. Watching a candidate interact with other people in the organization, especially if I could arrange short working sessions for them, turned out to be a very effective way of picking top flight candidates. It beat my recruitment interview ratings of candidates hands down. Assessment center techniques, role play techniques and group interviewing techniques, coupled with structured ratings from with trained observers, do a better job than interviewing at identifying top performers and fit to an organization. Short on-the-job assignments followed by systematic data collection from those folks who worked with the candidate, work better than one-on-one interviewing too. Yet the people who seem to have least understanding of this are recruiters, both in HR departments and in search firms. By and large, they just offer us more of the same when it comes to recruiting and hiring.